Standing there feeling incredibly uncomfortable, as if a bright light was being shined in my eyes, a moment of grace happened, and my focus turned to the front pew where my beloved and others were sitting. 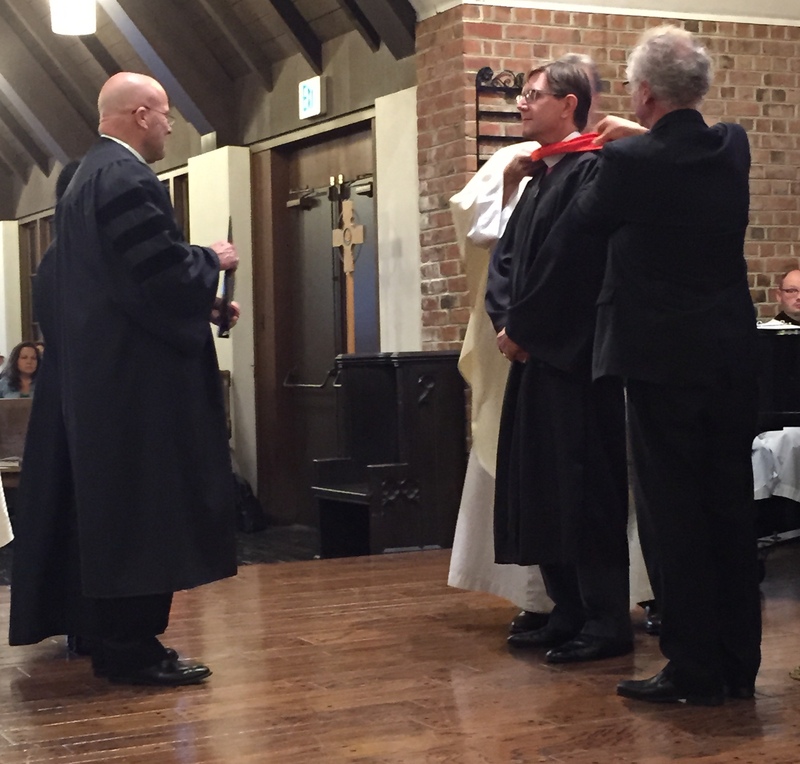 The occasion was the Church Divinity School of the Pacific Alumni Convocation to celebrate the honorary degree recipients, and I was humbled to be one of them. Honestly, being complimented is, and has been for a long time, a growing edge for me. Thus, standing there in the chapel while a litany of accolades were being read was very challenging. That was until I changed my focus to the aforementioned pew. The epiphany in the moment was that all of the cited accolades where shared. Family, friends, and colleagues are all full participants or teammates in whatever has been accomplished. I have accomplished nothing on my own; it has always been a team effort. The consistent message I shared with those I was fortunate enough to coach, was that we stand on the shoulders of those around us, and those who have gone before us. That is, for me, the foundational understanding of what it means to be the body of Christ. So with that said, thanks for being a part of the team…a part of the body of Christ!